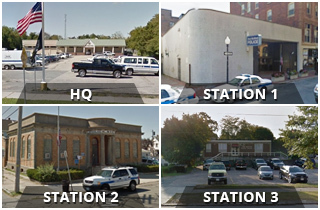 New Bedford must continue to come together as a “City of One” to increase public safety across our community and it will take the efforts of the dedicated team of professionals within the New Bedford Police Department and citizens alike to ensure that our community succeeds in this important pursuit. That is the message that the Greater New Bedford Regional Vocational Technical High School students that met with New Bedford Police Chief Joseph Cordeiro took away from their recent visit and tour of police headquarters. 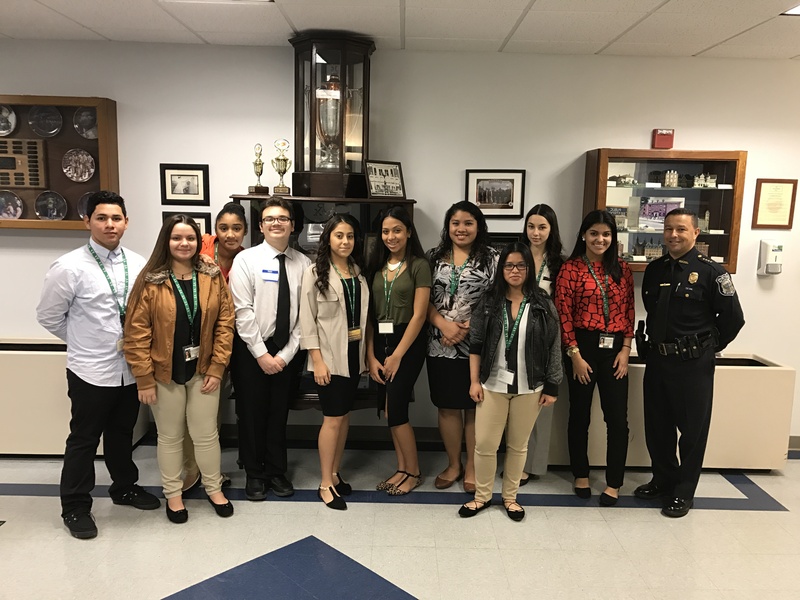 Junior Achievement of Southern Massachusetts partnered with the New Bedford Police Department to bring ten Business Technology students from Greater New Bedford Regional Vocational Technical High School to New Bedford Police Department Headquarters for a Job Shadow Day. The purpose of Junior Achievement’s Job Shadow Day’s are to connect the skills that local students are learning in the classroom with the professions that these skills can be applied to in the workplace. The participating students completed Junior Achievement curriculum focused on the subjects of career planning and work readiness in preparation for their visit. During their visit to Police Headquarters, the students spoke with members of the Police Department who discussed their work experience, job responsibilities, and the roles that they play to keep our community safe. Following an introduction to the Police Department by Chief Cordeiro, the students saw first-hand the city’s Shot Spotter program, the emergency communications center, met with the detectives unit, toured the booking and processing facilities, and learned how the Department analyzes data through its Compstat program. “The New Bedford Police Department is a perfect example of an organization that is made up by many different professionals, with a range of roles and skills sets, but that works together to achieve the common goal of making our City a better place for us all to enjoy. It was a real breakthrough for these Business Technology students to see the role that technology and data play within the Police Department and we are grateful to Chief Cordeiro and the entire department for being a part of this partnership,” said Jeffrey Pelletier, President of Junior Achievement of Southern Massachusetts. “This opportunity has helped us obtain a clearer view of what work prospects are available to us after we are finished with our education. I had been previously told about how my studies in Business Technology would offer me a plethora of job opportunities, and seeing the vast amount of professionals with different occupations within the Police Department confirmed those beliefs,” said Colby Botelho, a Greater New Bedford Regional Vocational Technical High School student. Through an extensive volunteer network, Junior Achievement of Southern Massachusetts provides in-school and after-school programs to students, kindergarten through twelfth grade, which focus on three key content areas: work readiness, entrepreneurship, and financial literacy. Each year, more than 100 volunteers donate over 23,000 hours to provide JA programs to nearly 4,000 students throughout in Southern Massachusetts. To learn more about JA or how you can get involved, visit www.jasouthernma.org, contact Jeffrey Pelletier at jeffrey.pelletier@ja.org, or call 508-264-0586.